Pictured from left to right standing: Two of our sons, Matt and Philip, me, Brother, Jeff and then our three Daughters in chronological order, Cathryn, Amanda and Susanna. Seated are my Dad and Mom. 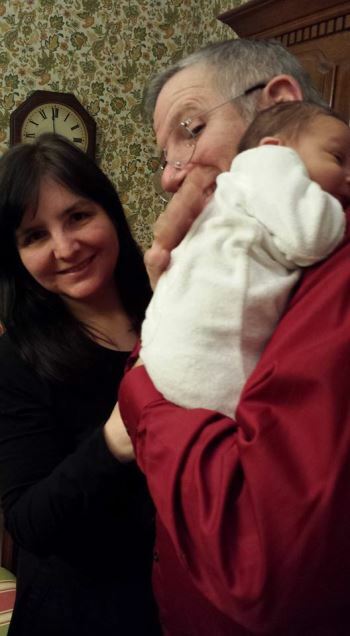 The new baby,Joey (seven days old) is the son of Amanda and David (not pictured) —Four Generations! Every year brings with it a new crop of events. We gained three new grandsons this year. 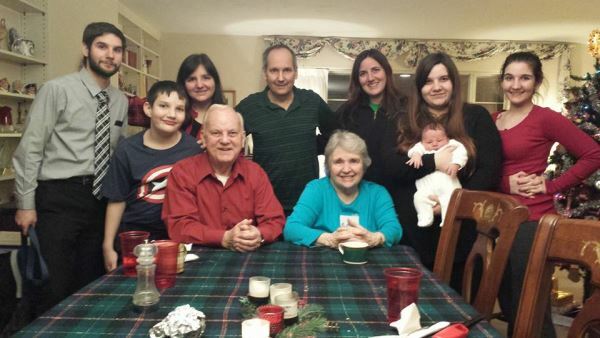 That brings the total up to 10 grandchildren for us—five grandsons and five granddaughters. We feel very blessed. However, even as our family circle is enlarging, our country appears to be decreasing in strength, economic stability, respect and moral fiber. 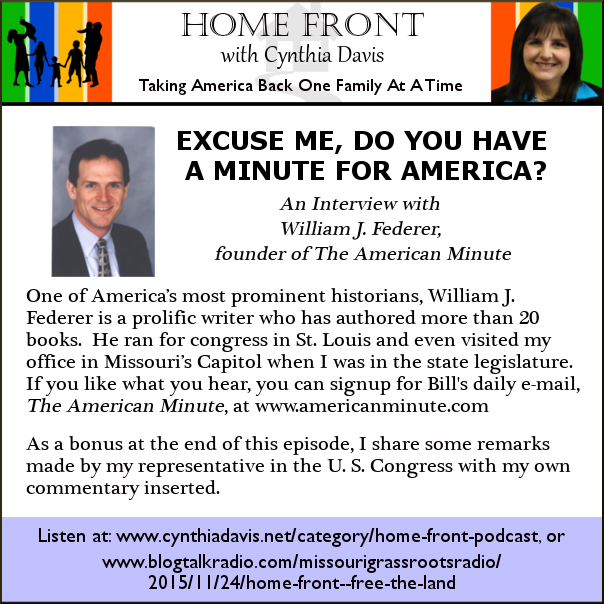 This week I interviewed Bill Federer, author of America’s God and Country and many other books that offer glimpses of the greatness of our heritage. We cannot expect our Country to get better on its own. It takes all of us to be dedicated to doing our part and the Lord’s grace to make things better. The first question we all are wondering about is has there ever been a time when we were lower? Maybe not, but history is riddled with surprises. 1.) Our State Representative, Ron Hicks, just announced he is not running again. This creates a new opportunity for a good candidate to run. If you live in the O’Fallon area and may be interested, please click my comment button or contact me. 2.) 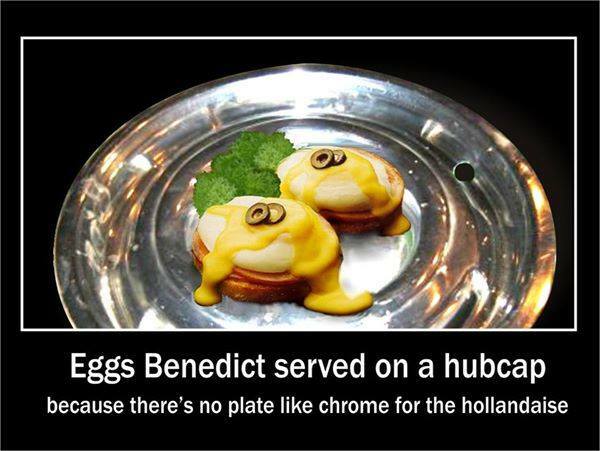 Every year many people ask me what I am going to run for next. If you have an opinion on whether you want to see me in office or what office you would like to see me pursue, please share your thoughts with me by replying with our “Comment” Button. May your next year be as joyous as ours! 2.) Click the “Comment Button” to let me know if you think I should run for any office or just continue being a conscience for others who are in office. 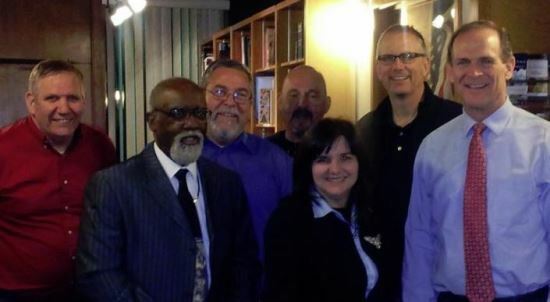 Right to Left: Bernie, Pastor Danny Holliday, Chris Clegg, Mark Kaiser, Me, Rick Simpson, Bill Federer.